Valverde says he does not want to see any coach sacked after masterminding the 5-1 El Clasico victory on Sunday. 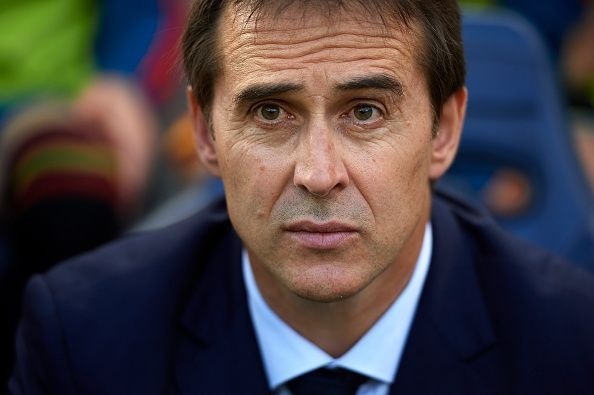 The coaching profession is about hiring and firing and one manager who could be losing his job before Monday is Real Madrid’s Julen Lopetegui. However, Barcelona Coach Ernesto Valverde says he does not want to see any coach sacked after masterminding the 5-1 El Clasico victory on Sunday. Valverde empathised with his Madrid counterpart even as he admits that he could be in the same shoes sometimes ahead. He said:"I know what it's like to be in a difficult situation, where the results do not come in," Valverde said. "Everything is focused on the coach. It's what happens in football. I put myself in his shoes and I know he's having a hard time. "What happens to [Lopetegui] could happen to me in three weeks. This is how it is - we are exposed as coaches. I wish Julen the best. "I will not get into whether he deserves to be sacked or not. I don't like to see any coach get sacked, not Lopetegui, not the Huesca coach, not the Granada coach and, of course, not the Barca coach." "Every week, there are three games. There are weeks when everything goes very well, like this one. And there are others when, for whatever reason, you do not win a game. "Those weeks without winning are a disaster. There are two types of weeks and we must keep calm.